Association members want options when it comes to how education is delivered, whether in person or online. One method to offer that is through hybrid meetings, which extend a conference learning experience to off-site members through the use of technology. "Today, the concept of a hybrid meeting is booming," said Carol McGury, executive vice president, Event and Education Services, SmithBucklin. "There are many virtual options to support the face-to-face experience and engage both on-site and off-site members." For example, a conference general session might be streamed live over the Web to off-site members – either individually or in a small group venue – giving them an opportunity to not only hear a keynote speaker but also participate in the related Q&A session. Other possibilities include sending brief videos or podcasts to attendees to promote an important session, using hand-held polling devices for instant feedback or arranging an impromptu, on-site "meet-up" through social media. From the perspective of the association's board, adding a digital, social or mobile component to an in-person event can enhance the value of the meeting experience for attendees, McGury noted. "For instance, a hybrid meeting can turn an annual conference into a year-round educational benefit and open the door to a potential new revenue stream." Board-level discussions of hybrid strategies can generate fresh ideas and innovative approaches for a traditional annual conference or quarterly event. That renewed sense of energy and excitement in the planning stage can inevitably translate to enhanced marketing that attracts members who are curious about the new offerings, McGury said. When considering hybrid approaches, boards of directors first need to determine meeting goals, understand the target audience and review the financial impact before making a decision to add virtual components to an in-person meeting and prior to staff starting on logistics. This approach is important, McGury said. Many associations tend to focus on logistics management too early in the process. With those considerations in mind, here is a step-by-step strategy for implementing successful hybrid meetings. Set clear goals.It is essential to set clear goals at an early stage of the planning process. Consider questions such as: Can adding a virtual component be marketed as a new member benefit? Will giving members an online "sample" of the event be likely to increase attendance in the future? Can a hybrid meeting be transformed into a year-round educational program? Know your audience. In most associations, members spend their working days using smartphones, tablets and computers. Those who are most comfortable with technology are likely to embrace digital, social or mobile conference components as natural additions to a conference. But some business owners and sales professionals more highly value face-to-face networking at conferences or trade shows and are less interested in virtual experiences. Of course, there are exceptions, which underscores the importance of knowing your audience. Build your program. Some elements at conferences lend themselves to virtual interaction, while others do not. Today, a high-profile speaker can reach a global audience through a live webcast from the conference. A medical group can gather in an auditorium to watch an innovative surgical procedure taking place in real-time at a hospital thousands of miles away. But, it usually does not make sense to try to broadcast dozens of daily seminars. "If the most important program content involves facilitated small-group discussions or peer-to-peer activities, a hybrid format will not translate very well," McGury said. Review costs and potential incremental revenue. Adding a virtual component will increase the technology-related cost of the event. "Fortunately, there are many companies who offer these services," McGury said. "So, associations also have many choices at different price points, providing some degree of leverage when negotiating with providers." There is also the potential for increased revenue from live webcasts or online educational content. "But as a new offering, it might take a year or two to see a return on investment," McGury cautioned. Market the hybrid offering. Once the hybrid component is in place, it can be used as a powerful marketing opportunity. "Pay close attention to your audience when developing your messages," McGury said. "In some cases, you might want to promote the virtual offering as a lower cost way to 'attend' the meeting. Or, you might find that a message emphasizing the increased ability to connect and interact with other members is an important selling point." Furthermore, McGury debunked a popular theory that promoting a virtual offering diminishes attendance at major events. "We have found that conference attendance remains stable or even increases after adding a hybrid component," she said. This is because the virtual program – when designed carefully – is typically geared to meet the needs of members who lack the time, desire or financial support to attend in person. 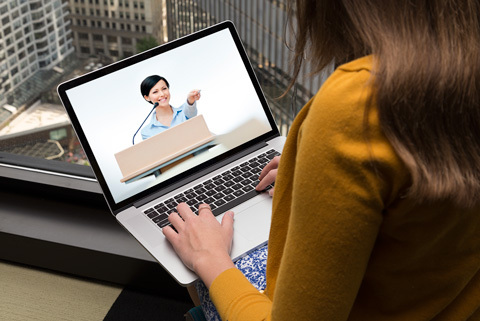 "And if members tend to come to the conference every other year, offering a virtual program can let them stay connected with the association during the off year," McGury added. Survey attendees. Ask plenty of questions about the hybrid programs in attendee surveys and post-conference evaluations. Be sure to invite open-ended comments as well as a standard checklist of questions. Feedback from attendees – and those who took part from remote locations – can provide invaluable information for planning the next event. Measure the impact. There are many ways to evaluate the success of a hybrid meeting, such as determining the size of the virtual audience as well as the number of on-site attendees. It is a good idea to compare both the engagement and satisfaction levels of the two attendee groups, and evaluate both groups’ overall experience of the event. In addition, costs and associated revenues should also be taken into account when measuring the impact. Learn from the experience. Because hybrid meetings are new for most associations, it is likely that some elements will generate a strong response from attendees, while others may need some fine-tuning. "Board members should take the time to learn from their experience," McGury said. "That is the best way to develop a successful hybrid meeting strategy for the future."